Lock in a great price for Elikon - rated 8.2 by recent guests. 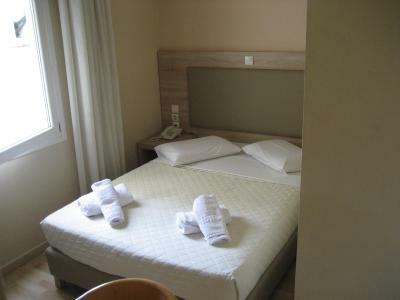 The room was spacious, it could even fit for a family (a double and a single bed), though I lived by myself. Very nice hotel personal, perfect location - anytime again!!! 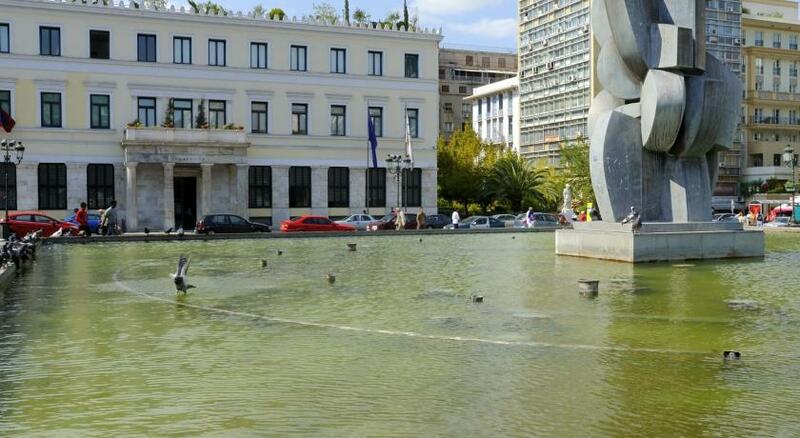 Very good location practically on Omonia square. 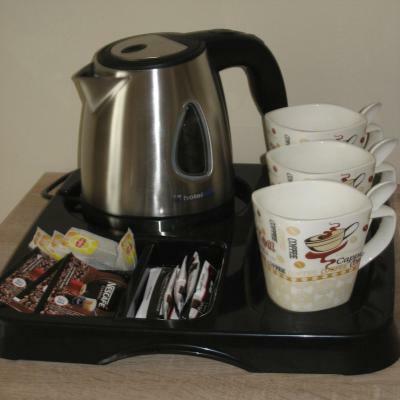 Room clean, TV available, tea and coffee set, coffee table and cosmetics in the bathroom. Hotel located very close to the metro stop and numerous cafes and restaurants nearby. It is a very good location. There is a cafe just around the corner. Amazing staff, always smiling and so helpful. The room was spacious and clean. The old man in the reception was very friendly and kind, he helped us check in late in the midnight and received our lost luggage and smiled all the time. The location was super. Within walking distance of the places we wanted to go to - agora, acropolis etc. From Elikon to the train station about 25 minutes. Breakfast not included but there was a kettle, cups , fridge. Very central location. We did everything by walking! Thé room was very quiet, simple, cleaned every day. Bed was very comfy. I really recommend this hôtel! 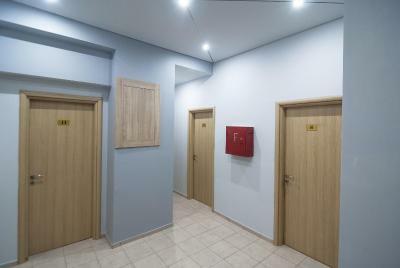 The room was spacious, clean and newly renovated. The staff was really friendly and helpful. Location for me was perfect. 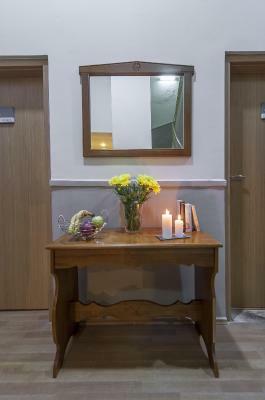 10 min by walk to the city center, close to local bakery. Not on the main street so night was silent 😉 rooms very clean and esthetically furnished. the hotel has a good location, very close omomia metro.we booked for 3nights and they cleaned our room every day and chaneged the towels. 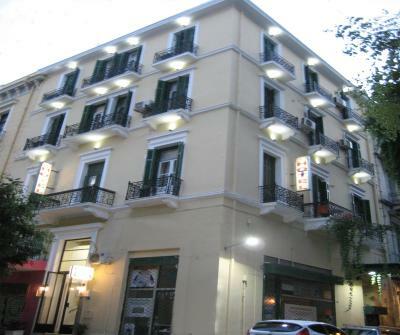 we had coffe,tea,sugar and coffeemaker in the room.for my mind its the best economy class hotel ..
One of our bestsellers in Athens! 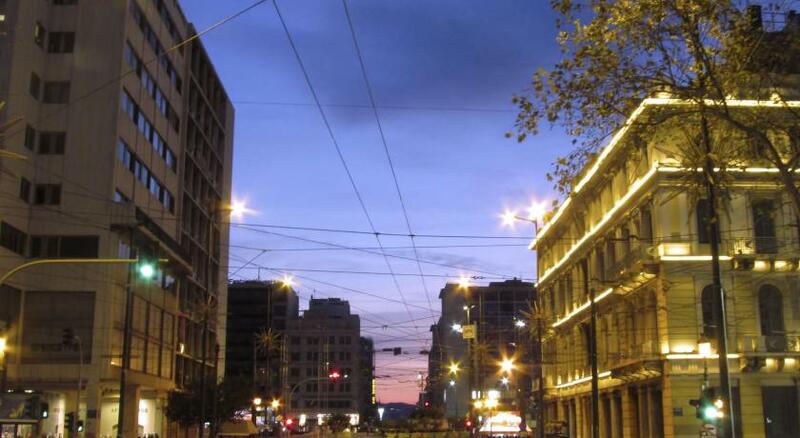 Elikon is centrally located in Athens,within a 3-minute' walk from Omonoia Metro Station and just 50 yards from restaurants and shops. It offers accommodation with free WiFi access and balcony. 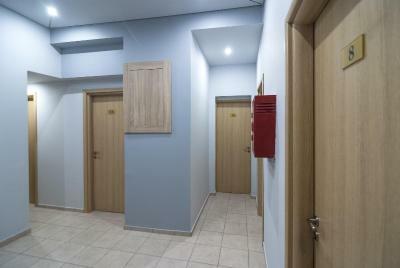 Fitted with wooden or tiled floors, the simply decorated rooms and dormitory rooms of Elikon are equipped with a TV and wardrobe. 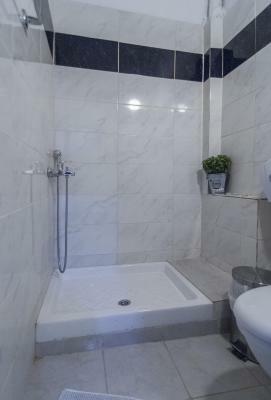 A shared bathroom with shower and toilet is available. 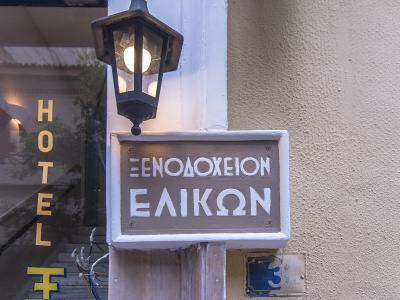 Elikon is located 0.6 miles from the National Archaeological Museum and 0.9 miles from Syntagma Square. Acropolis Hill lies within 3 km, while the shopping street of Ermou is at a distance of 0.9 miles. Private parking at extra charge can be found nearby. Elikon has been welcoming Booking.com guests since 15 May 2014. When would you like to stay at Elikon? Room with free WiFi access, a balcony, a TV and a wardrobe. 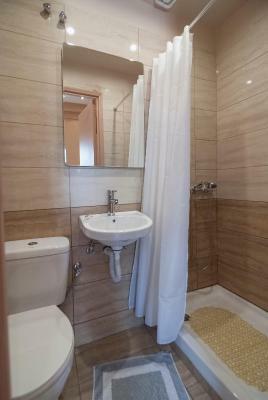 A shared bathroom with shower and toilet is available. Rooms are 14 square metres. Please note that this room type has no balcony, only a window. House rules Elikon takes special requests - add in the next step! Elikon accepts these cards and reserves the right to temporarily hold an amount prior to arrival. Please note that check-in is until 20:00. If you expect to arrive outside reception opening hours, please inform Elikon in advance. You can use the Special Requests box when booking, or contact the property directly with the contact details provided in your confirmation. Please note that for group reservations of more than 3 rooms, different policies apply. Please inform Elikon in advance of your expected arrival time. You can use the Special Requests box when booking, or contact the property directly with the contact details provided in your confirmation. The neighbourhood, Omonia, is a bit sketchy. Although I didn’t feel unsafe at any point, it would be a bit unnerving, for a solo female, for example. It is right next to a metro station and in general, 25-30min walk from the attraction region. Great value for money too! Staff was really kind and nice! 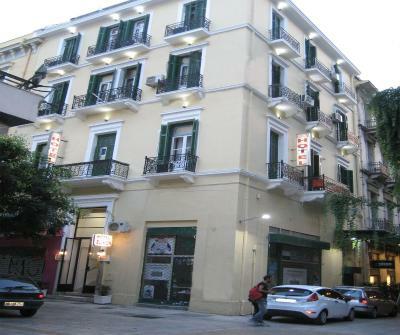 Though Omonia is not quite a suitable area to stay in, a lot of hotels are located here. 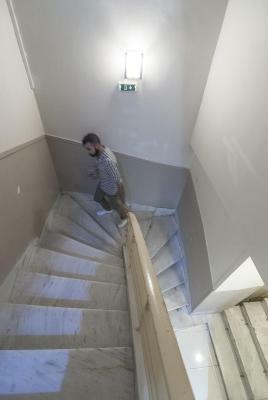 The fact that there are stairs to get up to the hotel and having luggage wasn’t easy. The only downside may be the fact that the conditions at night was a bit cold, and the air conditioning did not actually heat the room. There is no hair dryer in the room, I wish there was. The only disadvantage is that there was a bit noise in the morning. The hotel was doing renovation to a room next door and there was a lot of noise. All day and all night (until 11pm) so we didn't rest well. Hotel staff were amazing, room was clean, very helpful staff. We forgot some items in the hotel and we came back after a week, Dimitris (the receptionist) help us and they gave us our items without anything missing. Amazing service. Very satisfied.For the price we paid it was great. Just what we would have expected for the price we paid. 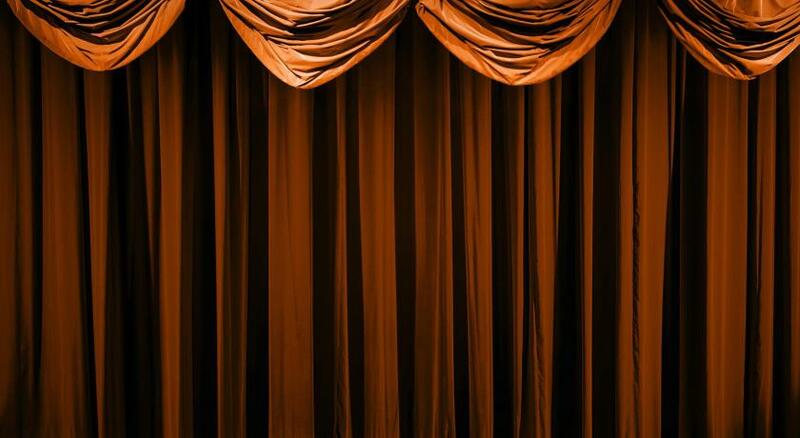 The bathroom curtain is making the shower space feel smaller than it is. Could be better with glass partition instead? Small room but equipped with everything you need. Friendly staff.